When it’s cold out, you typically want to eat something hot. When it’s hot out, you prefer to cool down with something chilled. Am I right? Well, sometimes, whether it’s hot or cold outside, and it’s later in the evening, you want something tasty and salty to nosh on. Drum roll please… Enter kale chips. These guys are salty, spicy, a bit tangy and a bit sweet. Even better, they’re pretty guiltless to eat – especially if you’re eating them instead of your regular, run-of-the-mill bagged potato chips (For example. I mean, we all have our go-to snacks to munch on late at night, right? Right?!) Also, I totally just rhymed up there ^. I don’t know about you, but I use Sriracha in almost everything I make. Sure, that might be an exaggeration, but seriously, the stuff is good. It’s so popular now, you can find it in almost every food store. 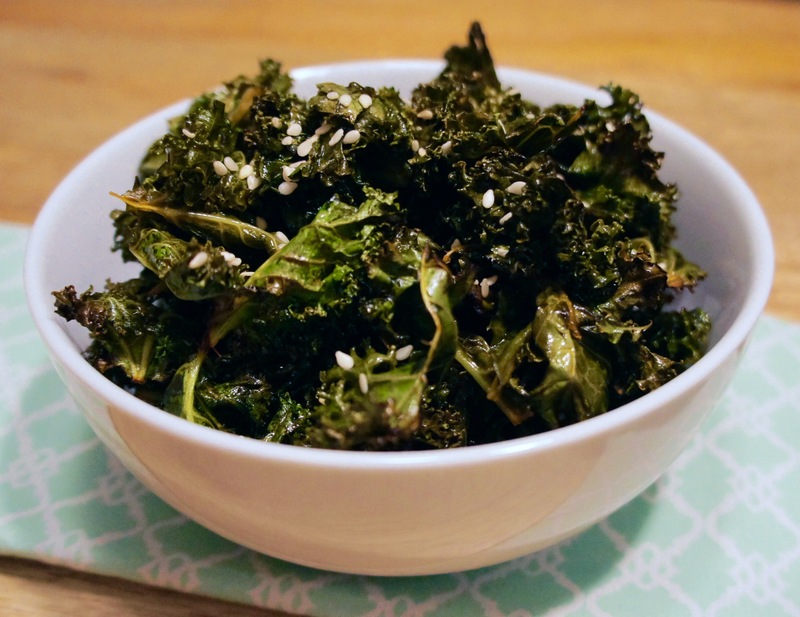 Use this recipe as a guide, and get creative with your kale chips! With a little inspiration from me, you’ll end up with a delicious late-night – or anytime, really – snack. Preheat oven to 400 degrees. Tear kale into bite sized pieces, wash and dry. In a large bowl, whisk together rice wine vinegar, sesame oil, sriracha, Tamari, honey and sesame seeds. Add kale to bowl and toss everything together until well-combined. Place kale onto a baking sheet, and into the oven. Cook for 10 minutes, tossing the kale once in the middle. 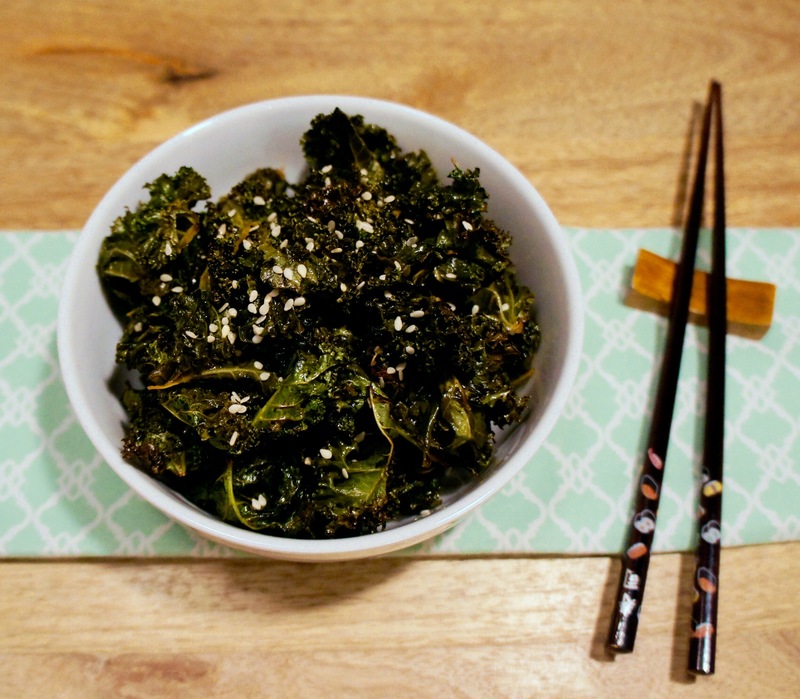 Sprinkle more sesame seeds over kale chips and serve. Make sure to taste the kale with the dressing before baking. Adjust seasonings as desired.